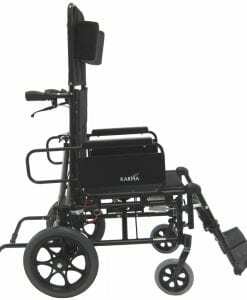 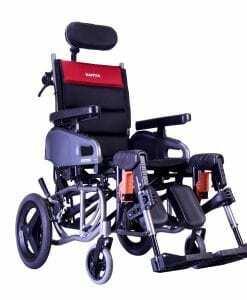 Reclinable Wheelchairs are specially designed to allow a person to comfortably recline at incremental angles safely and comfortably. 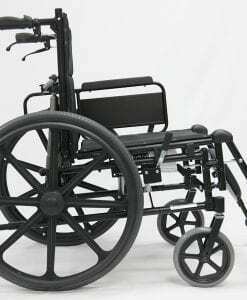 Typically used for accommodation of severe hip extension contractures, orthostatic hypotension, and pressure re-distribution for prevention of skin breakdown. 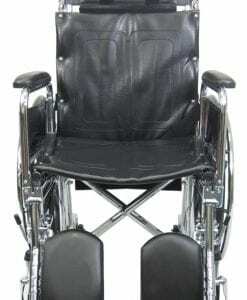 Recliner Wheelchairs work better with Elevating Legrests (ELRs); the user’s legs and feet can also be re-positioned for maximum comfort and health benefits. 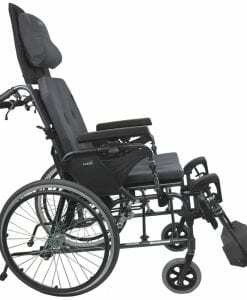 The “ELRs” are optional on some models and standard on others. 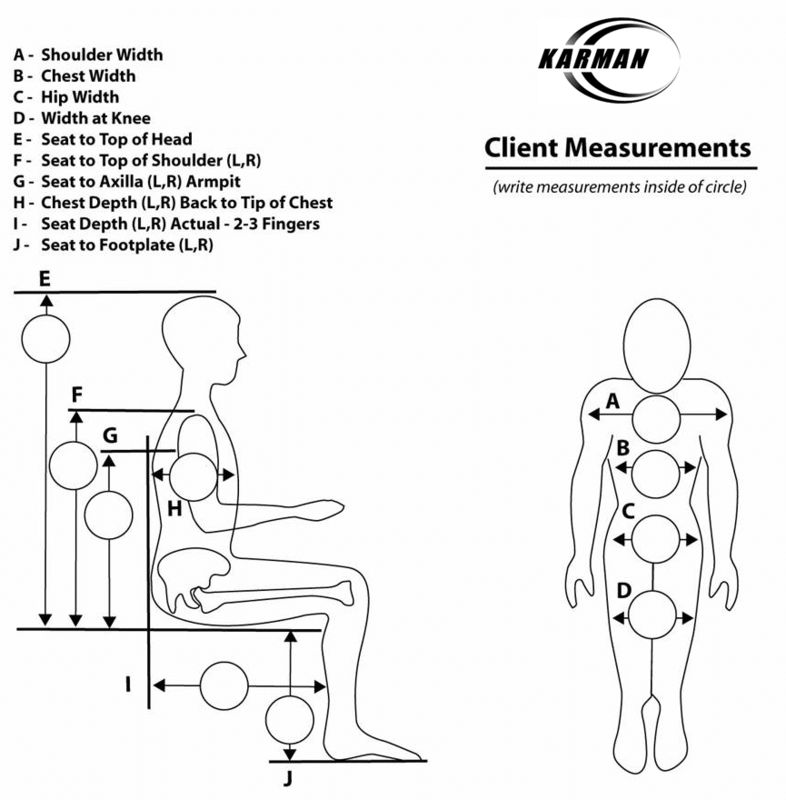 Be sure to ask about which type of ELR is best suitable for your seating and position needs. 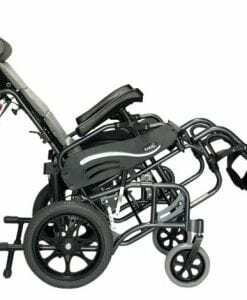 On some wheelchairs this is an option so be sure to check the options and accessories when purchasing. 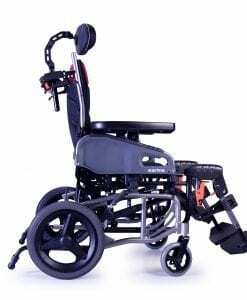 Tilt in Space wheelchairs are often considered for those who seek the best product in a reclining wheelchair or tilt in space wheelchair. 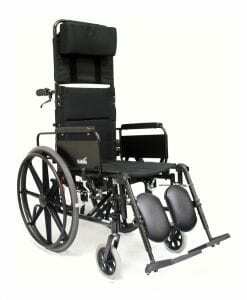 The MVP-502 Recliner is the “top of the line” recliner wheelchair available on the market today. 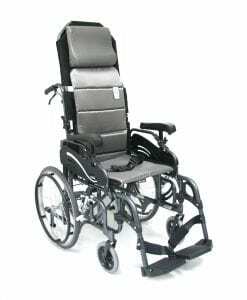 With tension strap seating and back positioning, it also provides a patented ergonomic “V-Shape” seating system providing maximum comfort and is also used as a “seat dump”, preventing the user from sliding out of the chair while in the full recline position. 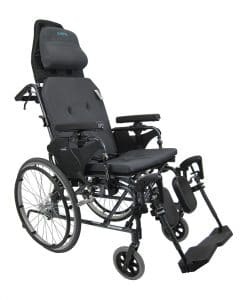 Furthermore, the MVP-502 has an articulating pivot point for the armrests and is the only reclining wheelchair on the market today where the armrests incrementally shift to the rear of the wheelchair as the user is reclined. 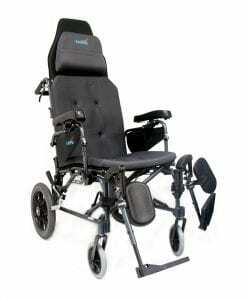 This promotes good posture and offers a natural armrest positioning when the user seeks a favorable reclining angle. 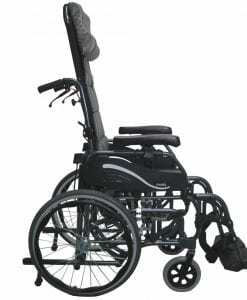 Only the higher end models offer unlimited back re-positioning. 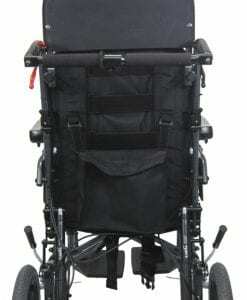 The minimum weight in this series is 33 lbs, other brand recliners are well above 53 lbs. 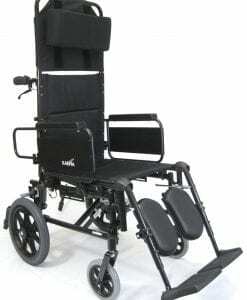 and usually feature a poor frame design limiting mobility and overall comfort. 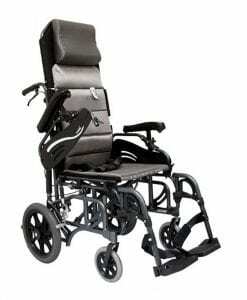 Utilizing T-6 Aircraft Grade Aluminum helps reduce weight without sacrificing the strength of the frame. 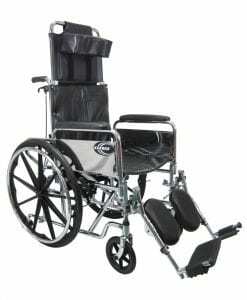 All of our recliner wheelchairs offer ultimate comfort, better blood circulation, aid in sleeping, and transportability.